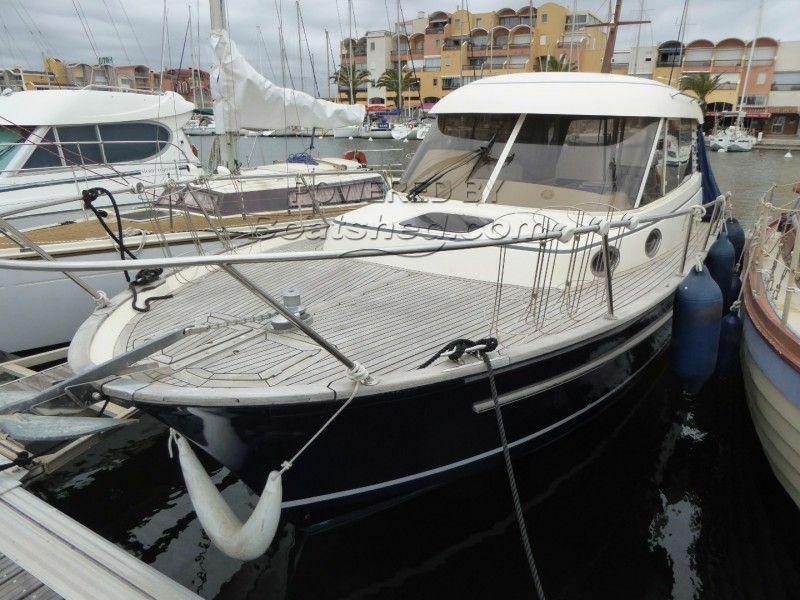 Sedan motor cruiser for sale in the south of France. Boatshed Sud Med is pleased to offer this ACM Elite 31 for sale on a Med. coast mooring. A really nice example of this popular robust and comfortable hardtop cruiser, equally at home at sea as inland cruising. With sleeping for 4 in two cabins, max 6. This one has been with the present owner for the last 7 years and he has cruised the Mediterranean coast and the Canal du Midi. A well loved and well maintained boat last out of the water for antifouling in August 2018 & reluctantly for sale due to a change in circumstances. For more information and appointments to view please contact Graham at Boatshed SudMed. This ACM Elite 31 Sedan has been personally photographed and viewed by a representative of Boatshed Sud Med. Click here for contact details.